Say yes to a world of expressive Educational Block Toys, thanks to a large variety brought to you by Sluban India. The brand has won the hearts of its European customers with top quality building blocks based game. These theme based toys designed for kids of six years of age and above develop their rotor and spatial skills and keep them occupied in a creative way. It offers a great way to keep your child indoors without any complains. Sluban set of building blocks game comes with assorted toys which lets your child create interesting game using these toys as different characters. Sluban Educational Block Toys Pirates theme based set of toys contains blocks to build different ships and boats to let your kids rule the sea and discover treasure in the sea. 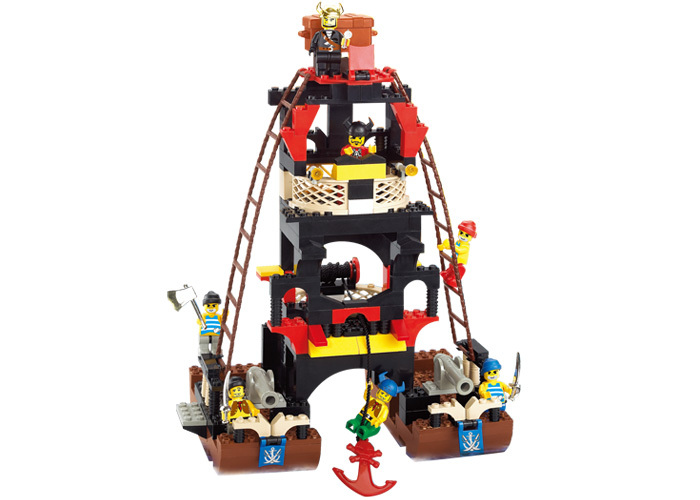 This Marine theme based set of building blocks toy has been very popular in Europe.